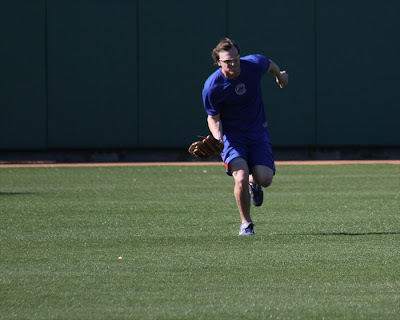 I headed over to Fitch Park today to check on what’s happening with the Cubs at Camp Bussie; the off-season workout program supervised by Cubs Strength and Conditioning Coordinator Tim Buss. Driving up Center Street towards the park, I saw a baseball sitting in the middle of the road. Harking back to one of my part-time jobs while in college as a delivery driver (where I learned how to consume a full-course dinner on the road while driving with my knees) I drove up and scooped the ball from the blacktop without endangering anyone. (Please don’t try this on your own, as I am a trained professional driver). After snatching the wayward ball I noticed a guy on the edge of the street giving me a surprised look, he may have parked and gotten out of his vehicle to retrieve the ball. 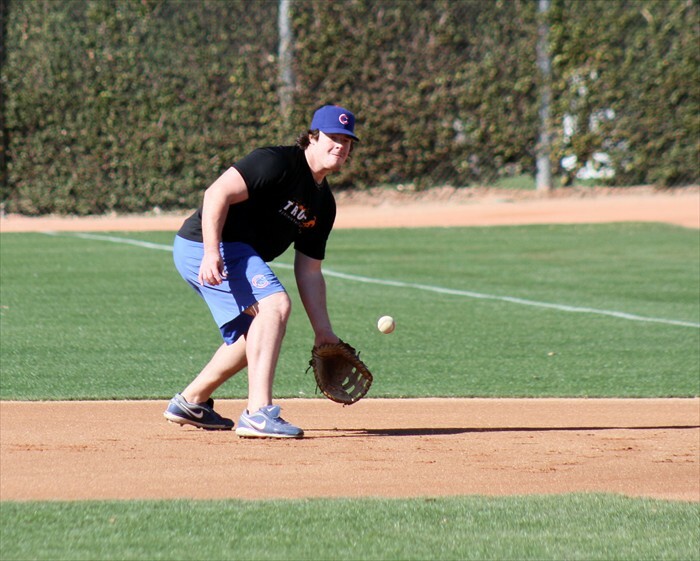 Since I hadn’t seen him while working my sweet drive-scoop-and-go move, I decided to keep the ball. As I then turned onto 6th Place off Center, low and behold not more than 50 yards ahead there was another ball in the middle of the street. Another drive and scoop and I had two baseballs in my possession before even arriving at the Fitch parking lot. 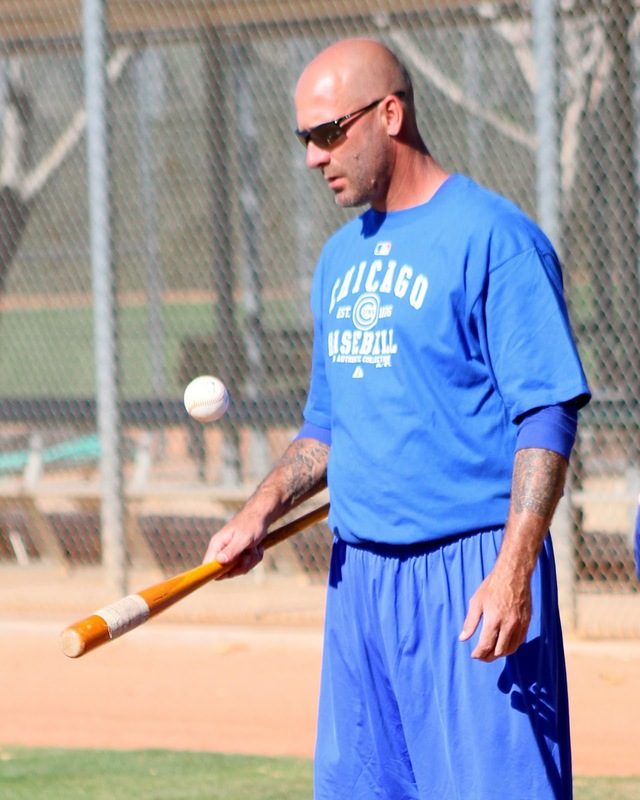 Tim Buss has been working here in Mesa with the guys (mostly Cubs minor leaguers) since November. 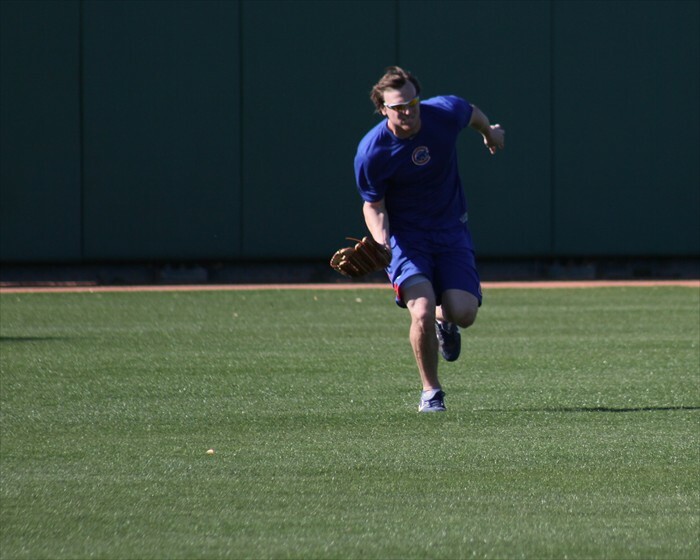 Over the next couple weeks some of the Cubs major league players will slowly start filtering in to Fitch before pitchers and catchers must report on February 18. 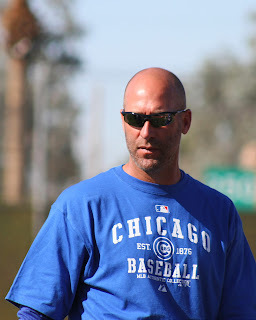 Upon walking to the ball fields I noticed something unusual, an unexpected early arrival – new Cubs Manager Dale Sveum. 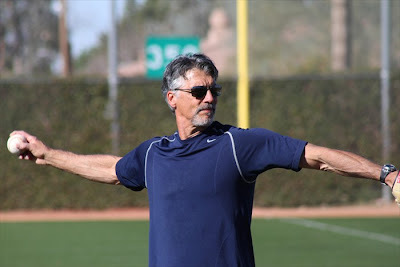 In all the years I’ve been around spring training I have never seen a Cubs manager here working with players a full 19 days before pitchers and catchers are scheduled to report. 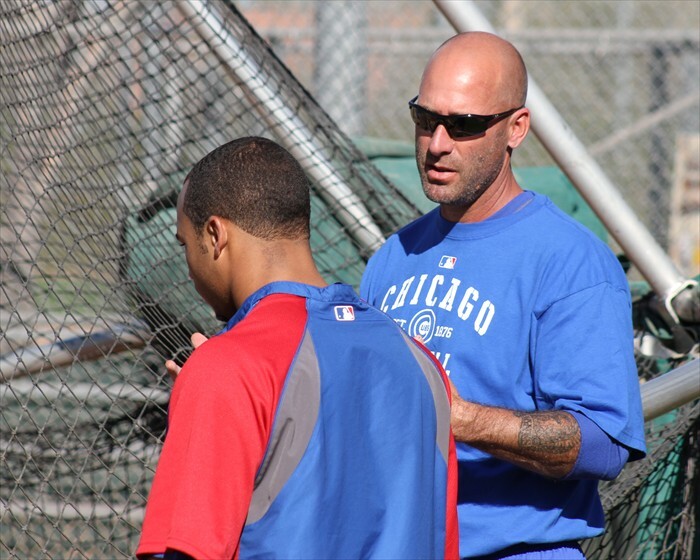 Also at Fitch today was new Cubs first base coach Dave McKay. 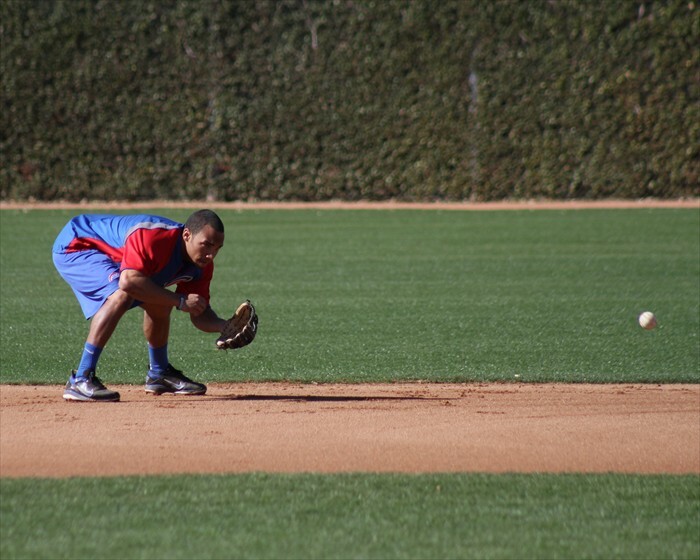 What I saw and heard today from the Cubs staff at Fitch was a breath of fresh air. 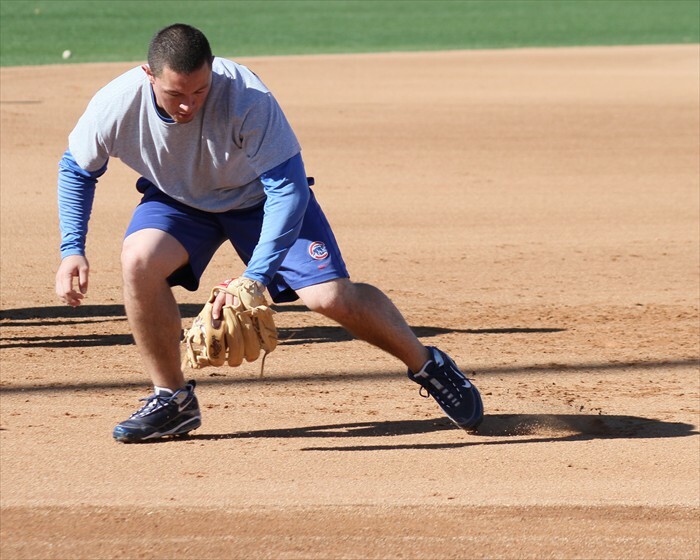 In addition to the physical training there was some real coaching going on, a lot of focus on base running since these were all position players. There will be no excuses for not doing something the right way. 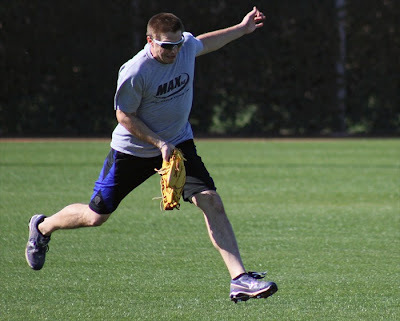 Theo Epstein is one of the smartest people he’s ever been around, and that Theo will not accept mediocrity, not from himself, not from anyone. Making excuses is caused by your own insecurities and lack of preparation. 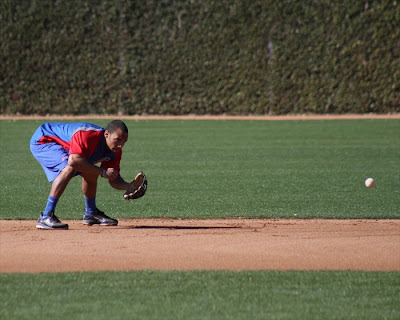 So many games are won by one run and the Cubs will prepare and do all the little things the right way in order to be the team that wins those close games. He also told the guys they are being given the greatest opportunity in all of sports, to be the players who win it all after 103 years. I really liked what I heard from Sveum. I was also talking with athletic trainer Steve Melendez who has been in the Cubs organization for 27 years and he pointed out that today Dale was talking to minor league players, young guys who are impressionable. 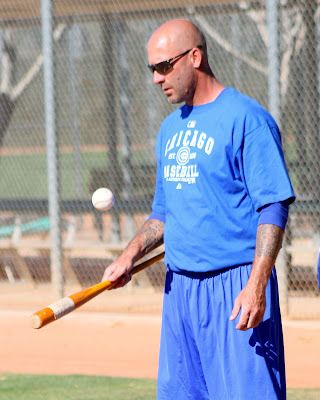 Steve said what will really be important is how well the Cubs major leaguers buy into Sveum’s program. 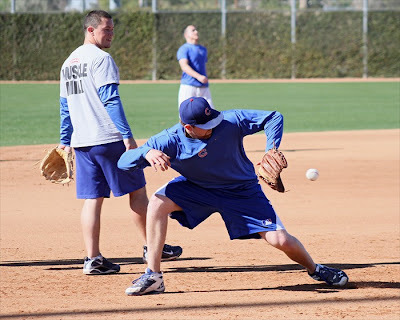 Pitchers and catchers are not due in for nearly three weeks but I already get the feeling from Dale Sveum and Theo Epstein that no matter who you are, if you don’t buy into the program – you won’t be part of the program.